He was born in Ganja in 1955. He finished Ganja Pedago­gical School in 1974. He has been engaged in cartoon since 1985. His works have been published in the Kirpi (Hedgehog) magazine and other news­papers and magazines. He is a participant of many exhibitions held in the Republic and abroad. 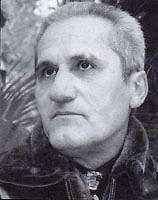 Since 2007 he is a member of Azerbaijan Cartoonists Union.